Malory’s thrilled when she’s invited to try out for a top riding team. But that’s before she learns that Caleb – the boy she’s liked all year – is competing for a place too! Now the pair of them are running neck and neck. Malory’s dreaming of glory, but is she galloping into grief? this book was epic! literally, when I picked this book up, I did not put it back down until I had finished reading it. Amazing, huh? and it isn’t hard to read a book that quickly because all you really need to do is love books. that’s not so easy for many people but I swear, read this book and you’ll find it epic. 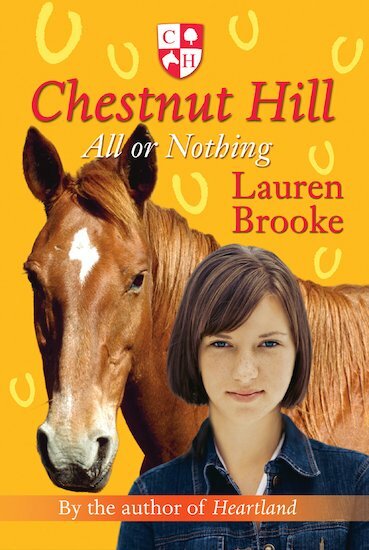 Lauren Brooke is an amazing author and I would take her place if I could. i loved this book! i dont want to give anything away but lynsey and patience can be very spiteful to poor malory!